The Mordant is a restaurant located in Paris X rue de chabrol, we make a cuisine inspired by French classics twisted by seasonings and daring accompaniments. We put priority on the basic product, the Beef comes from small producers, the fish of a responsible French fishing. We change the map with the seasons and our inspirations, we prefer to adapt to what nature offers us and not the opposite. For the wines the map is made up of about a hundred references, all from responsible winegrowers working in organic, biodynamic and natural farming. 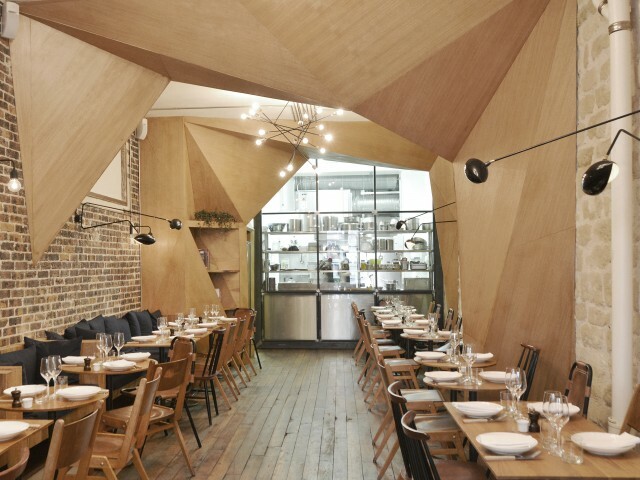 The decor was designed by the architect Lucie Lepage-depreux who made this former supermarket a warm and modern place, Burgundy stone bar, wooden origami and glass kitchen. A perfect harmony between the old and the contemporary.